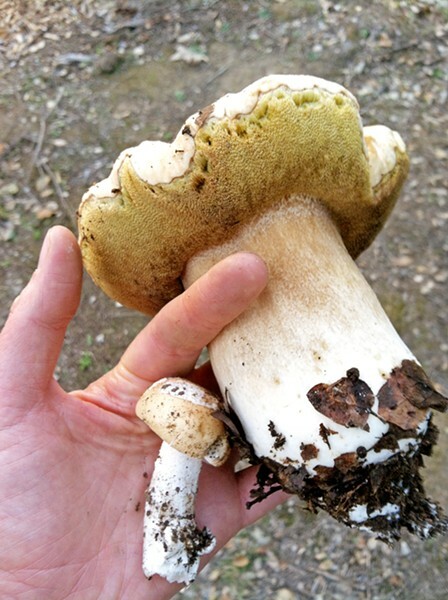 The Friday, Feb. 8, mushroom event at the SLO Botanical Garden will showcase a photo-filled presentation covering common mushroom taxonomy, identification methods, and more. Attendees will also be able to partake in a Q-and-A. No reservations required. Suggested donation of $5 for garden members, $10 for the public. For more information, go to slobg.org. There are some 50,000 species of mushrooms you could be eating. Yet, my guess is you're only barely scraping the surface of the fungal forest floor. Today, the most commonly consumed variety is the button mushroom, or Agaricus bisporus, which makes up about 40 percent of the mushrooms grown around the world. SHROOM EDU Interested yet daunted by the complexity of fungal forms? Now is the time to get some in-depth and hands-on training on mushroom identification. 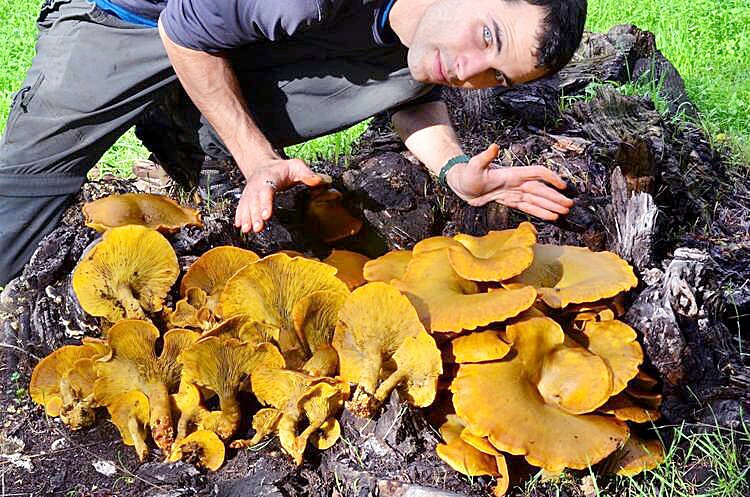 The SLO Botanical Garden will host an event on Friday, Feb. 8, featuring mushroom expert Christian Schwarz of Santa Cruz. Nothing against the oft-ordered pizza topping, but there's a big, fungal world out there. This earthy realm of swirling stems, caps, and threadlike roots awaits with delicious, mysterious, and—on occasion—intoxicating results. Mushroom expert Christian Schwarz of Santa Cruz wants to open up that portal and be your guide through the thrilling, satisfying (and potentially hazardous) world of seasonal mushroom hunting. The SLO Botanical Garden will host Schwarz for an in-depth look at the diverse fungi found on the Central Coast this Friday, Feb. 8, from 5:30 to 7:30 p.m. Expect an informative identification presentation on specimens found along our regional rivers, meadows, and mountains (workshops slated for Saturday and Sunday have already filled up, but you can register to join the wait list for those, too). Schwarz is a mushroom enthusiast and taxonomist from Santa Cruz, the land of milk (caps) and honey (mushrooms). He studied at UCSC, and now spends his time photographing, teaching about, and capturing scientific collections of macrofungi. He is also coauthor of the book Mushrooms of the Redwood Coast, and is slowly building a mycoflora—the fungi characteristic of a region or special environment—for Santa Cruz County. Yes, he is one of those lucky dogs who truly gets paid to do what he loves most. 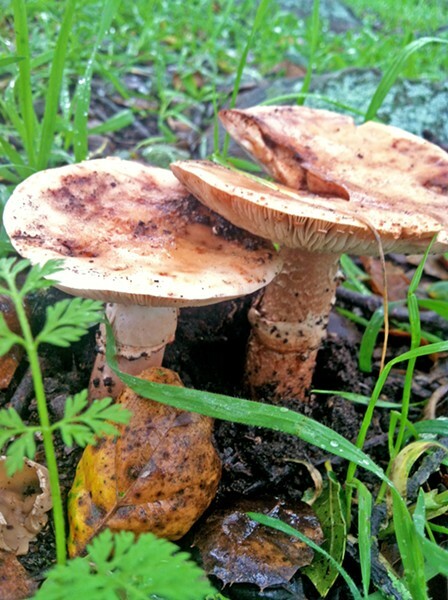 CAPHEADS UNITE SLO Botanical Garden's upcoming mushroom event on this Friday, Feb. 8, will cover taxonomy basics, field identification, ethical harvesting guidelines, safety issues, and tips on how to avoid toxic mushrooms in the wild. With their seemingly endless forms, which range from the grotesque to the bizarre to the stunning and sublime, fungi are this scientist's ultimate thrill. This passion has even taken him to Central America, Indonesia, Borneo, and Europe. Now, he sets his eyes on SLO. Although Schwarz said he recognizes that not everyone wishes to categorize, dehydrate, catalog, and experiment on their found mushrooms, education must come before the dinner bell. "If you're going to collect wild mushrooms to eat, you are already in the business of recognizing and identifying mushrooms," he said. "There aren't many deadly ones, but, between the ones you want to eat and the ones you want to avoid, there are about 20 species you should learn." Of course, this should not be a "scary" proposition. Think of it this way: Can you safely identify the difference between a carrot and a turnip? Great. Then you can probably identify a toxic mushroom from its yummy, nutritious counterpart. With a bit of expert know-how, you'll be off to the hillsides running. "I've known many people who start to hunt mushrooms for food reasons, but then they really get into it. When you are out picking mushrooms, you are searching through other stuff, too. A significant percent of people start wondering about what those other things are," Schwarz said. "Some get a field guide or join a club. This is how it begins." Yes, this is how understanding the basic 20 mushroom list turns into being able to spot 50 mushrooms to knowing about (and hunting for) hundreds of species. But picking mushrooms for dinner isn't just intellectually stimulating (or, for some, addicting). It's also a sustainable way to amp up your dinner, when done correctly. Schwarz underscored a huge point: When you pick mushrooms you don't destroy the organism. You are merely picking the "fruit" of the fungi. Even in regions where SLO's famously meaty chanterelles are heavily plucked, they will return, given good environmental factors. Not to say that mushroom hunters shouldn't follow a few rules, all of which will be discussed at the upcoming event. Overhunting a particular area can damage future shroom production, as soil becomes too compacted. It's also a total no-no to pick everything in sight, then discard the mushrooms you don't plan on eating. Not only does this provide a bummer for hikers who pass after you on the trail, but it's just plain disruptive to the web of life. "Mushrooms are the best organisms on the planet to get people outside and interested in a wild organisms and nature; fungi ties people to ecology, to the land, and to healthy forests," Schwarz said. "Plus, it's way less boring than fishing and less dangerous than hunting. It does not require long distance hiking, and it is extremely accessible. You can mushroom pick with the grandkids." In places like Germany, mushroom hunting is an unofficial national pastime; a huge joy for young and old. In America, knowledge is growing ever so slowly. It's taken about 15 years, but folks are catching on. For true mushroom heads, the Central Coast represents an exciting meeting point for Northern and Southern California varieties to merge. Where else can you head out on a hike and return home with not just chanterelle, but also porcini, lion's mane, oyster, bear's head—even milky caps, shaggy manes, blewits, meadow, cauliflower, candy cap, and shaggy parasol varieties? A little rinse, a little garlic, a little EVOO, and you've prepared your meal. "The Central Coast, in particular, has really exploded in terms of interest. A couple people [who] have arrived at their love of fungi just started talking to neighbors and friends, and this acted as nuclei of which sprang a whole network of people, some of whom have found brand new mushroom species," Schwarz said. Truly, anyone can discover these enchanting, wild organisms. "Kids are low to the ground so they are good mushroom hunters," Schwarz said. "In the grand scheme of things, we still know so little about fungi. You could very well be the next one to contribute to the science." Hayley Thomas Cain believes mushrooms are magic. She can be reached at hthomas@newtimesslo.com.